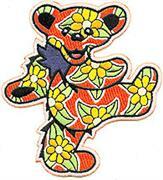 Click here for an alphabetical listing of Grateful Dead song lyrics. 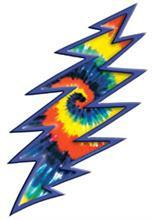 The subject of Grateful Dead lyrics could make up an entire website on it's own. Actually, there are several, I used them to research this article. 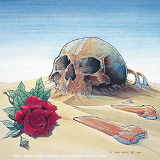 Most notable would be David Dodd's Annotated Grateful Dead Lyrics site. Much has been written on this topic and it's not hard to see why. The timeless beauty of the Dead's lyrics is a big part of what makes their music so special. Deadbase lists 480 different songs that the band played over the course of their 30 year career. Of course many of these were played only once or twice on special occasions or with guest artists. But that still leaves about 300 songs that were in regular rotation. That's an amazing body of work for any band, probably the largest repertoire of any musical group ever! Few other bands have songs with lyrics comparable to real poetry, lyrics with such powerful resonance in the mind of the listener. How many bands have song lyrics that have been quoted so often they became part of popular culture, even to the point of becoming cliches? I think it really says something that many Grateful Dead lyrics and song titles are recognizable to fans by their initials alone. 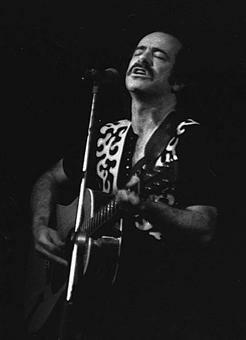 Robert Hunter, the man responsible for much of the lyrics to the band's most famous songs, is a true poet and scholar. His use of literary references, strong themes and evocative imagery makes the music much more compelling. His lyrics are specific enough to provoke strong emotions but vague enough that their meaning is left open to interpretation. Like all great art they can mean something different to each listener depending on their own experience. If asked, Hunter actually refuses to tell people what he meant with his Grateful Dead lyrics. He wisely realizes that this would greatly diminish their power. In my opinion, the Dead weren't truly formed as a band until Hunter began contributing lyrics to their songs. Up until that point, around 1967, the lyrics for their original material had an amateurish and juvenile quality to them. The band members were still just young kids, after all. There's a reason most of those early songs were dropped from their performances fairly quickly. Robert Hunter was the missing piece of the puzzle. Jerry has been quoted as saying "Hunter is the member of the band who doesn't come out on stage with us." The famous songwriting team of Hunter/Garcia soon became incredibly prolific, producing some of the greatest and most loved songs of the 20th century. Some of Hunter's lyrics seem like nonsense at first, for example China Cat Sunflower or Alligator. But I think he was simply trying to describe the indescribable - like the hallucinatory visions brought on by acid or other mind altering substances. The near religious experiences that many people were having with Owsley's potent LSD were not something that could be related with words. In my opinion he was using "nonsense" lyrics to give the listener a sense of something which can't be explained. 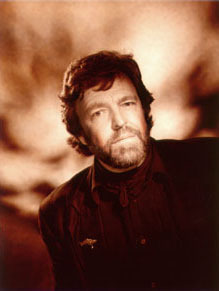 John Barlow, who was Bob Weir's songwriting partner for many years is a poet as well. He also wrote some of the group's greatest lyrics. Only Hunter wrote more lyrics for the band. Bob Weir was originally collaborating with Robert Hunter, but Barlow took over when Weir and Hunter agreed that things just weren't working out. They remained friends but had too many disagreements to continue writings songs together. Barlow turned out to be a much better match for Weir's eccentricities. Together they wrote many classic songs like Cassidy and Let It Grow. Grateful Dead lyrics purposely avoid making overtly political statements or having a "message". The band had an anti-authoritarian attitude that extended to themselves as well. They didn't want to be in a position where they were seen as telling people what to think or using their popularity to influence anything. The idea of "not knowing" can actually be seen as a recurring theme in their songs. 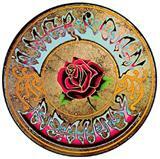 Take Ripple for instance: "I don't know, don't really care, let there be songs to fill the air." Or "If I knew the way I would take you home" which could be taken to mean that they don't pretend to know the way therefore they can't lead you home. 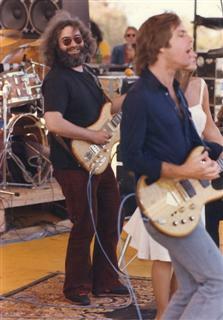 Jerry Garcia, especially, didn't want to be seen as the leader of the band or of anything else for that matter! He often held back on stage, letting others have the spotlight. He encouraged everyone to participate in the musical conversation like a true jazz musician. He didn't want to be idolized. He hated that aspect of fame and did his best to avoid it at all costs. There are some Dead songs like Throwing Stones which have a political theme but they are few and far between. They largely avoided writing songs with any sort of explicit meaning. I think this contributed greatly to why Grateful Dead lyrics don't sound old or dated even today, 30 years after they were written.